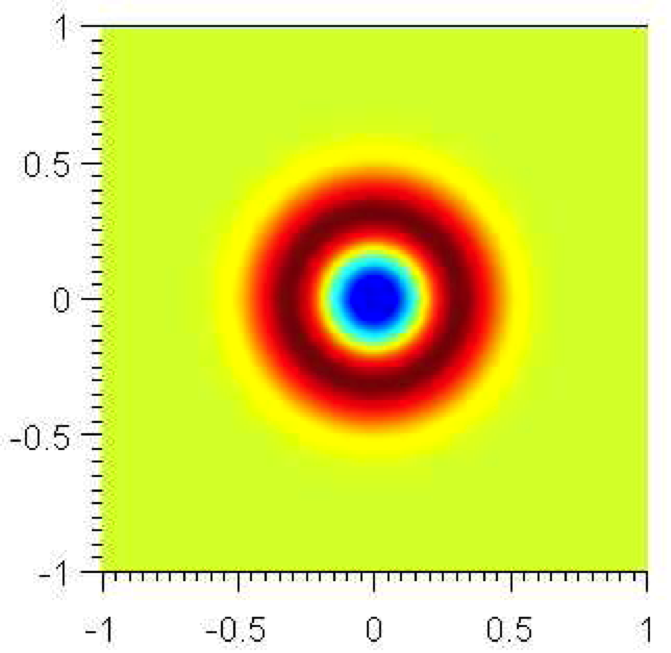 In this section we explain how to set up a simple simulation of aeroacoustics in Nektar++. 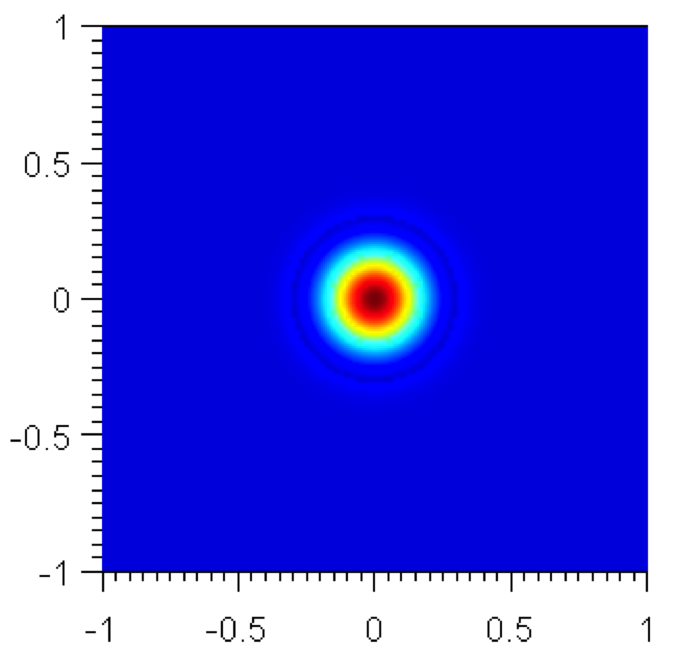 We will study the propagation of an acoustic wave in the simple case where the base flow is ui = 0,p = p∞ = 106,ρ = ρ0 = 1.204. The geometry consists of 64 quadrilateral elements, as shown in Fig. 7.1. To maintain numerical stability we must use a small time-step. The total simulation time is 150 time units. Finally, we set the density, heat ratio and ambient pressure. Fig. 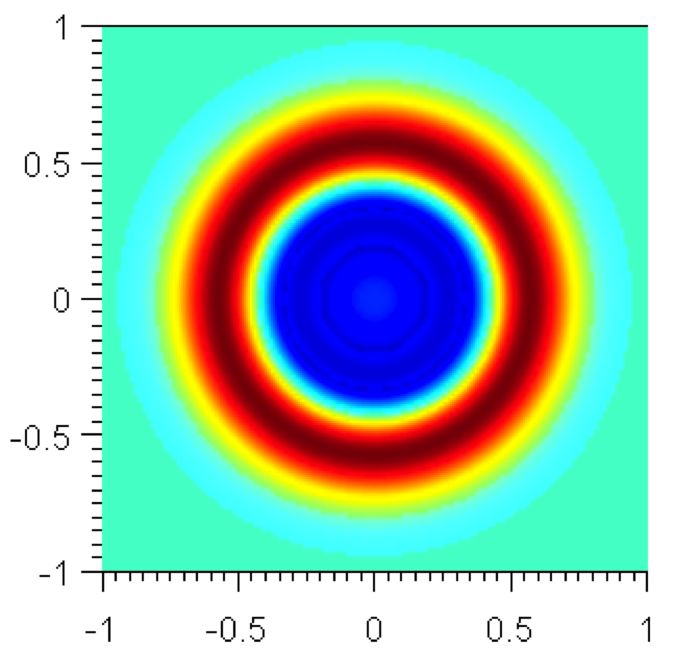 7.2 shows the pressure profile at different time steps, showing the acoustic propagation. 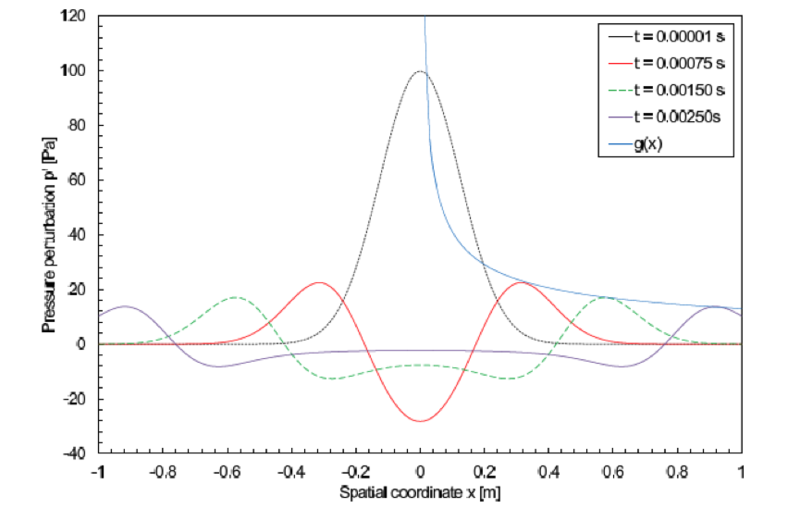 It is possible to show the profile of the pressure perturbations with respect to the spatial coordinate. 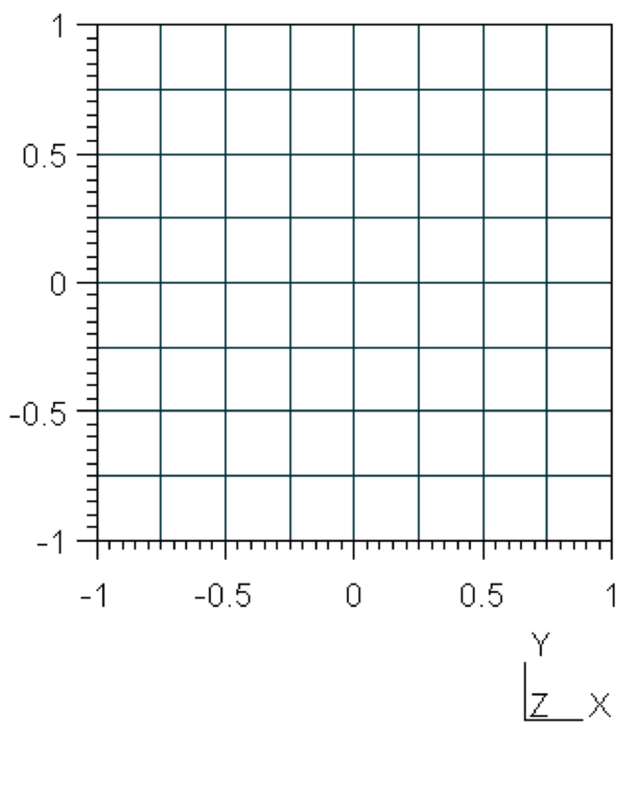 The pressure fluctuations, that are concentrated in a specific locations at the beginning (as specified by the initial conditions), propagate with time and for sufficiently large time the decay is exponential as predicted by literature .